Tropical forests are ecosystems which are essential to planetary health. The degradation of these forests is often a result of agriculture, logging, mining, and other stressors, and effective restoration is needed for these ecosystems to successfully regain pre-disturbed levels of biodiversity. A new study at the University of Guelph found that using DNA metabarcoding to analyze the community of bacteria and fungi in the soil associated with particular tree species in Costa Rica’s northern region provides a novel tool for the assessment of reforestation projects. Scientists often study the success of restoration efforts by assessing forest cover, however the soil associated with each growing plant species can have a big influence over the extent of forest recovery. Each plant in the forest has its own soil microbiome – a community of associated bacteria and fungi – that is important for carrying out a variety of functions, including the fixing of nitrogen (converting nitrogen gas from the atmosphere into a form that can be used by plants), critical to the growth and development of plants and soil microbes. 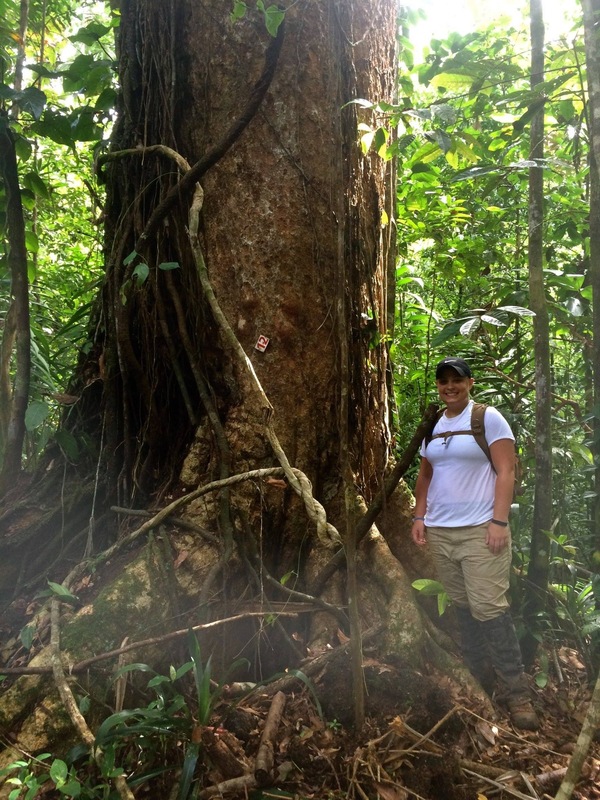 In the tropical forests of Costa Rica, McGee studied the soil around two types of trees, Pentaclethra macroloba (Gavilán; nitrogen-fixing) and Dipteryx panamensis (Almendro; non-nitrogen-fixing), to look at the differences in the soil microbiome species. She found different communities of microorganisms working for each type of tree; the nitrogen-fixing trees supported soil microbes and microbial biomass at levels similar to those measured in primary forests indicating their importance for the recovery of soils to a pre-disturbed state. In particular, the nitrogen-fixing tree Pentaclethra macroloba provided crucial forms of soil ammonium to the soil, influencing ideal soil microbiomes for the recolonization of trees important for the recovery of forests in the region. “This research is highly relevant for planning and guiding forest regeneration efforts,” said Dr. Mehrdad Hajibabaei, associate professor at the Department of Integrative Biology and the Centre for Biodiversity Genomics, and the principal investigator on the project. “DNA metabarcoding soil microbes is a novel approach that can be applied globally to guide research and policies surrounding forest restoration,” says Hajibabaei. Using DNA metabarcoding to investigate the diversity of soil microorganisms can help to identify key tree species that will maximize the success of regenerating forest ecosystems. This is vital to the global recovery of tropical forests. PDF of the publication and the press release.